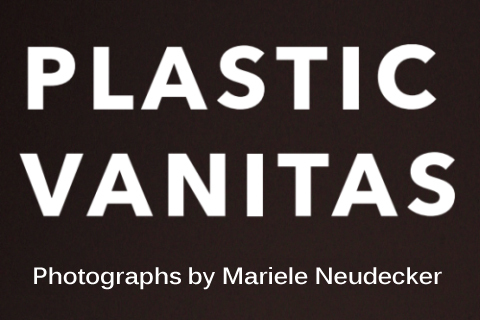 On the occasion of the PLASTICS HERITAGE conference, the exhibition PLASTIC VANITAS is shown at the University of Applied Science (HTW Berlin), presenting over 40 photographic artworks of the German-British artist Mariele Neudecker. Her fascination with plastics is a driving force in her photographic work, which was created while she was working in the collections of the Art University of Bournemouth’s Museum of Design in Plastics (MoDiP). With attentive precision, she selected plastic objects from the collection to form exactly composed groupings. This, the well-balanced illumination and the dark, deep backgrounds evoke the 17th-century, Dutch-Flemish still lifes. In Neudecker’s work, plastic objects used casually in everyday life are elevated to „vanitas“. The resultant, highly aesthetic photographs, with their nuanced colors, serve as unconventional bridges between past and present. Baroque still-life paintings of commonplace objects meet modern materials in a digital visual framework. Her artworks surprise and extend our viewing sensibilities. PLASTIC VANITAS was first shown in 2015 at MoDiP, Bournemouth and in 2016 partially in the Zeppelin Museum Friedrichshafen. Until August 2016, the Cologne Gallery Rehbein organized an exhibition and now in October/November 2016 it can be admired in Berlin. Mariele Neudecker was born in 1965 in Düsseldorf and currently lives and works in Bristol. The prize-winning artist has had solo exhibitions in the Ikon Gallery Birmingham, Tate St. Ives, Tate Britain and in the Kunstmuseum Trondheim. She has shown widely internationally, notably in Biennales in Venice, Yokohama, Australia, and Singapore. Aside from photography, Neudecker’s other numerous artworks are represented in noteworthy collections.